Games allowed: Legend Of Loki slot. 15 Free Spins at Calvin Casino Eligible countries for no deposit free spins: Australia, Canada, Denmark, Finland, Germany, Ireland, Norway. Games allowed: Beetle Jewels slot. Games allowed: Pragmatic Play Gold Rush. Games allowed: Hansel & Gretel. 40 Free Spins at Calvin Casino Eligible Countries: Australia, Austria, Belgium, Finland, Canada, Chile, Czech Republic, Denmark, Ireland, Japan, Paraguay, Spain, Switzerland. 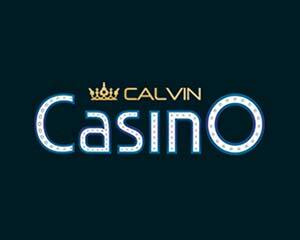 50 Free Spins at Calvin Casino The bonus can be used by players from: Australia, Canada, Denmark, Finland, Germany, Ireland and Norway. 20 Free Spins on slot 'Zeus 2' at Calvin Casino Eligible countries: Australia, Canada, Denmark, Finland, Germany, Ireland, Norway. Games allowed: All For One. 20 Free Spins on slot 'All For One' at Calvin Casino Eligible countries: Australia, Canada, Denmark, Finland, Germany, Ireland, Norway, Sweden.